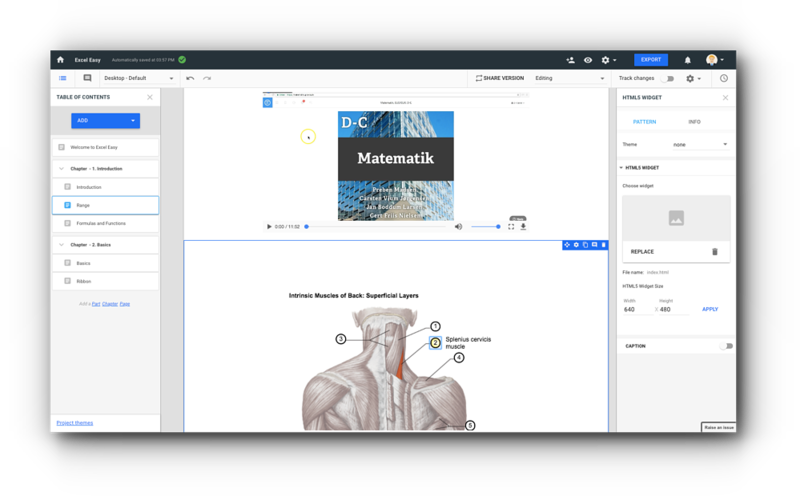 Are you looking for a simple to use collaborative authoring tool where you can design rich content, as well as modify, update, and use your own style in creating educational content? As a content developer, you are authoring content all the time, even when you are not aware of it. 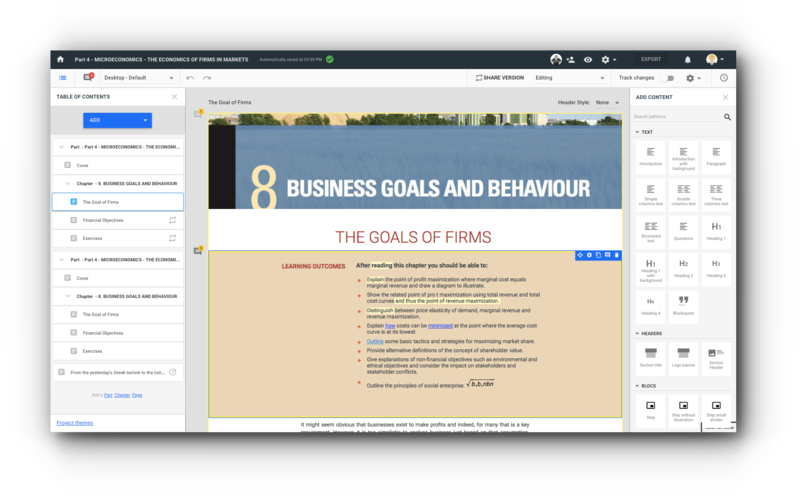 You may be familiar with several interfaces or software for creating content, such as Word, Google Suite, InDesign, PowerPoint, WordPress, and so on. Some of them are more adaptable to your needs than others, but, what is steering your decision is the desired output of your work. Depending if you are creating a document, a book, a presentation, or a website, our authoring tool, MyEcontentFactory, gives you the ability to free your content to be reused. 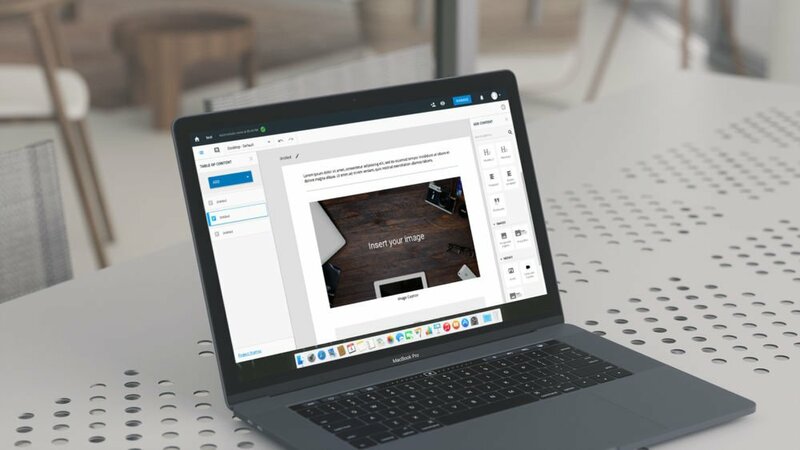 You can transform it into any of those products, and make the most of our powerful collaborative authoring platform to let your creativity loose! You can author content in MyEcontentFactory, and then export and publish it everywhere. Thanks to the user-friendly interface, users will learn the platform in five minutes making the possibilities endless. 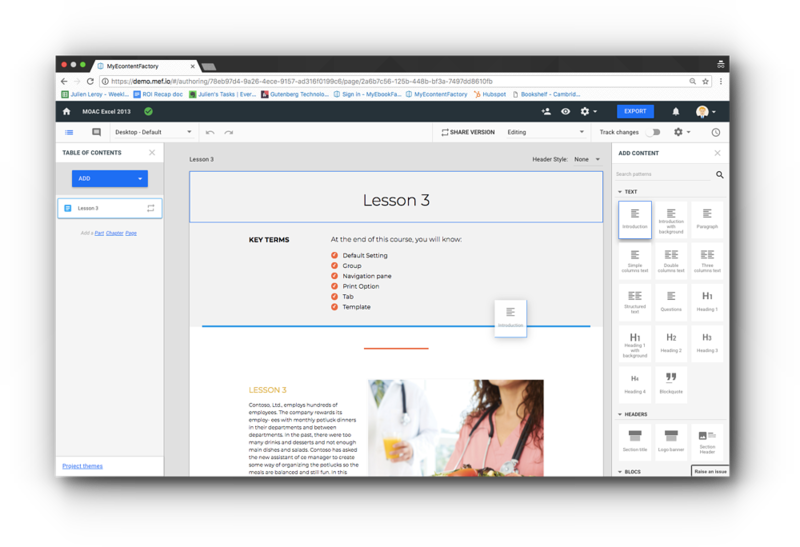 You can assemble all kinds of content to build a new project, and make it shine by using our template library!